1.The cost for one exhibitor table or space w/o table (approx. 3’ x 6’) for an Associate member at an EARCOS conference is $270.00. The maximum number of spaces per Associate is one (1). This entitles the exhibitor to utilize the top of the table and the wall behind the table if available. The entire exhibit and backdrop may not extend beyond the length of the table(s) reserved. 2. EARCOS staff will assign the location of the table(s) based upon the requirements of the exhibitor as indicated on the registration form. The exhibitor should not move the table location from the location assigned by EARCOS staff without approval. 3. Exhibitors should not change tables without the approval of EARCOS staff. 4. Placing brochures or flyers on chairs in the ballroom or breakout rooms is strictly prohibited. 5. Exhibitors are expected to provide their own supplies such as tape, scissors, etc. 6. Exhibitors are expected to arrange shipment of their materials to and from the conference venue. EARCOS will not be responsible for shipments from the conference or through customs. 1. Make sure that you pay all custom obligations and taxes so the school will not be responsible. 2. Please ensure the parcels reach the school latest by one(1) week before the conference date to avoid any delay in shipment/custom clearance. 7. The school will provide a certain level of security for the exhibit area. However, when you are not at your table do not leave valuable items unsecured. 8. Any and all people working at an exhibitor table must be registered delegates. Please read these guidelines and confirm your willingness to abide by these essential requirements. Your understanding of these preconditions for all EARCOS exhibitors helps conference organisers provide an optimal and uninterrupted experience. Also, understand that decisions for table placement are careful and deliberative. This process includes a delicate balancing of multiple factors, not least among them, are variances in venue space and prompt registration. * To promote intercultural understanding and international friendship through the activities of member schools. * To broaden the dimensions of education of all schools involved in the Council in the interest of a total program of education. * To advance the professional growth and welfare of individuals belonging to the educational staff of member schools. * To facilitate communication and cooperative action between and among all associated schools. * To cooperate with other organizations and individuals pursuing the same objectives as this council. 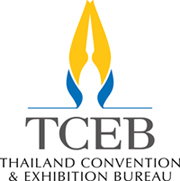 Thank you to Thailand Convention & Exhibition Bureau for their generous support of this year's EARCOS Teachers' Conference 2019.